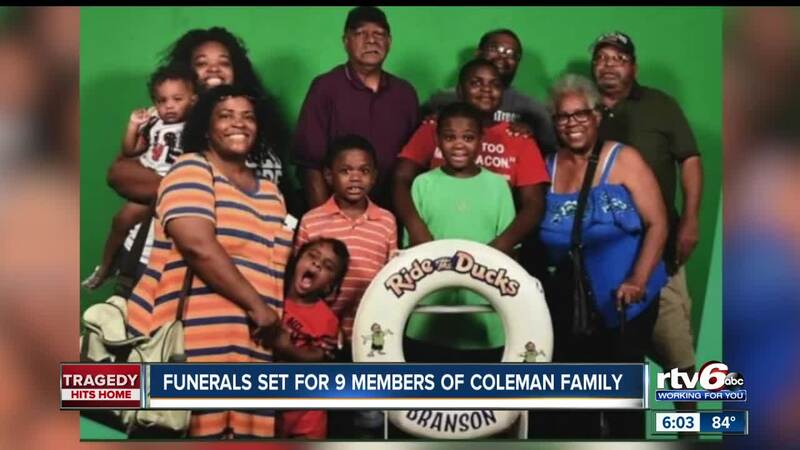 INDIANAPOLIS -- The funeral arrangements for the nine family members who died when the duck boat they were on capsized in a Missouri lake last week have been released. 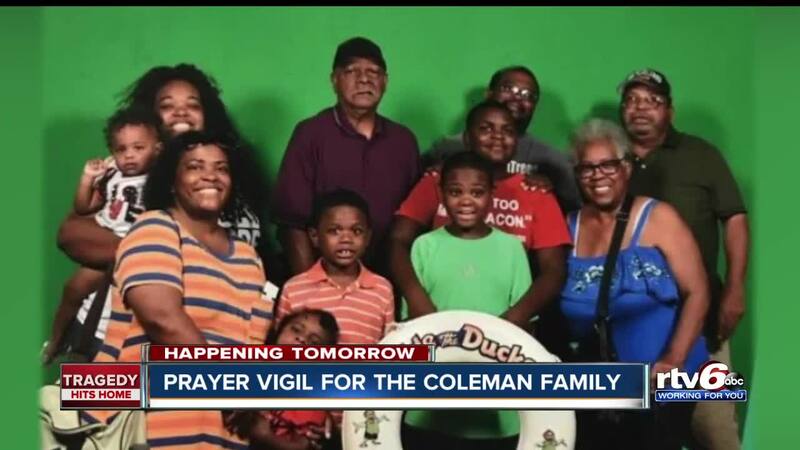 Nine members of the Coleman family were killed in last Thursday's accident. Tia Coleman and her nephew, Donovan, survived. Tia's husband, Glenn, and their three kids, Arya, 1, Evan, 7, and Reece, 9, will be laid to rest on Friday. The viewing will be held at Grace Apostolic Church, located at 649 E. 22nd St., at 8 a.m., followed by the funeral at noon. Services for the other five family members: Horace, Ervin, Belinda, Maxwell, and Angela will be Saturday, July 28, at Eastern Star Church on 5805 Cooper Road. The viewing is 8 a.m.-noon, with the service beginning at noon. The services are open to the public. Grace Apostolic Church is accepting cards flowers and other sympathy gifts for the family. You can also donate to the official GoFundMe account that has been set up for the survivors of the accident. In a new statement Monday, Ride The Ducks offered to pay for all medical bills and funeral expenses for anybody affected by the incident.